Home Uncategorized Operation Trail Marker: You Go, Verdugos! Operation Trail Marker: You Go, Verdugos! Exciting news, Angelenos: We’ve officially selected the Verdugo Mountains as ground zero of Operation Trail Marker! We’ll be teaming up with the good folks at the Glendale Parks and Open Space Foundation to spruce up wayfinding across the 14-square-mile range. The Verdugos are geologically detached from the rest of the San Gabriel Mountain range, and sit island-like in the midst of Glendale. That self-containment lends the area a certain intimacy, which is why we chose to start there. You can get an in-depth look at today’s Verdugos in our April hiking package, but in honor of this momentous occasion, we thought we’d go back in time and share some dirt on the range’s namesake. Jose Maria Verdugo was a soldier from Baja California who came to Southern California in 1769. He guarded Spanish missions until 1784, when Spain rewarded him with an enormous land grant: a whopping 36,403 acres, stretching from today’s Griffith Park to La Cañada-Flintridge (an expanse which just so happens to include our headlining sierra). Verdugo and his descendants ranched the vast property until the mid-1800s, when the U.S. took control over California. Like many early Spanish title-holders, the Verdugos lost a lot of their land, but their legacy survives in name. 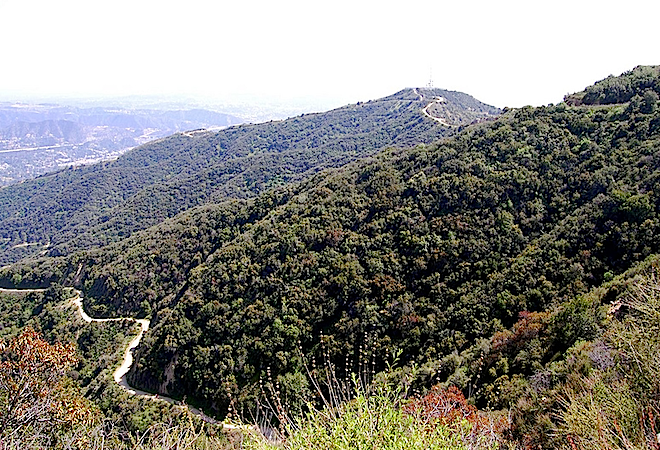 Today, the Verdugo Mountains offer more than 25 miles of trails for hiking, biking, and pure recreation. We’ve made it our mission to get more and better markers on those pathways and are prepping a Scope of Work and cost estimate to make it happen. In the meantime, check out our fashion editor’s take on trekking La Tuna Canyon Park in the Verdugos, or rev up for next year’s 10K in May. And if you hit the Verdugo’s fabulous trails anytime soon—let us know! Tweet us your hiking pics at @LA_mag, using the hashtag #MarkLATrails!